Claudia Wulff has been appointed to the editorial board of SIAM Review, with effect from 1 January 2018. 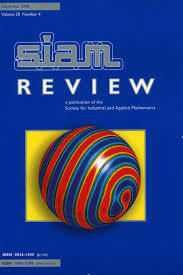 SIAM Review is the flagship journal of the Society for Industrial and Applied Mathematics, the largest applied mathematics society in the world. The journal is sent to all 11,000+ members of the society. Further detail about the journal can be found at the SIAM website here.